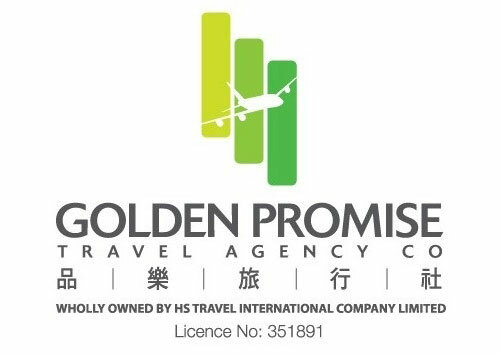 Golden Promise Travel Agency Co., one of the fastest growing corporate travel agents in Hong Kong, was founded as the business travel-planning arm of HS Travel International Company Limited in 1995. We tailor to the travel needs of our clients from local and overseas corporations to provide quality service at the best available price in the market. These include fully integrated travel arrangements worldwide, catering to the traveling needs of our local and overseas clients. Our team of experienced staff understands and is sensitive to the time-critical and demanding nature of corporate travel, endeavors to provide the best service to meet your needs. 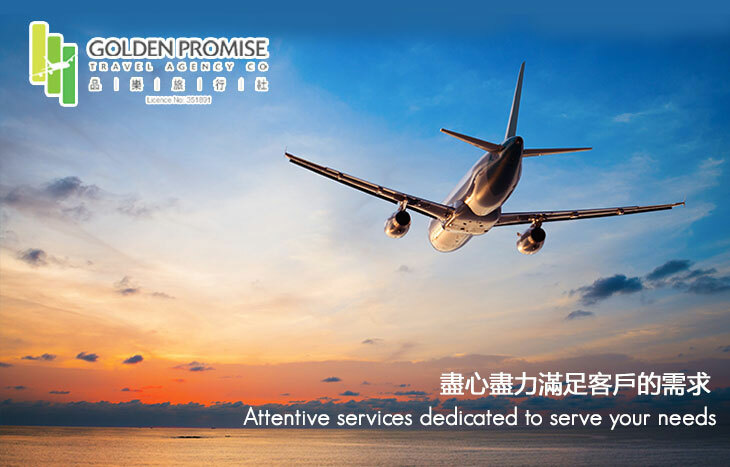 Working closely with major airlines and overseas hotel groups, we strive to give you an all-rounded travel experience at the best available price. 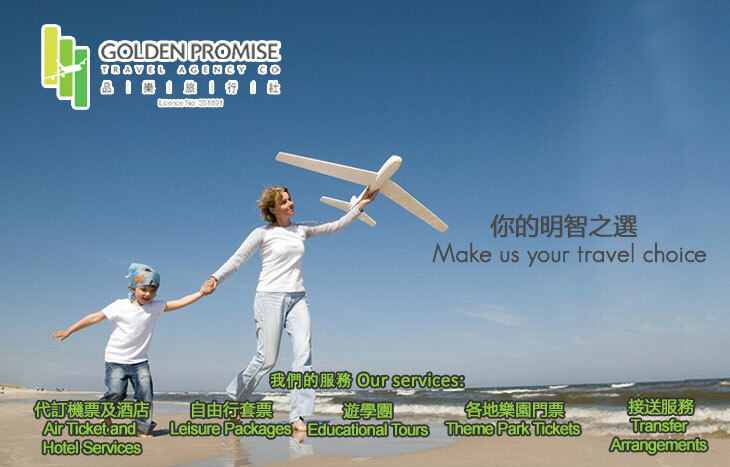 Our services include flight reservations, leisure package reservations, theme park tickets and local tours reservations, worldwide hotel reservations, Event management for inbound / outbound incentive groups, ground transportation including airport pick up and limousine / coach rental, visa application, ferry / train tickets arrangement, travel / ticket insurance arrangement and corporate travel arrangements.